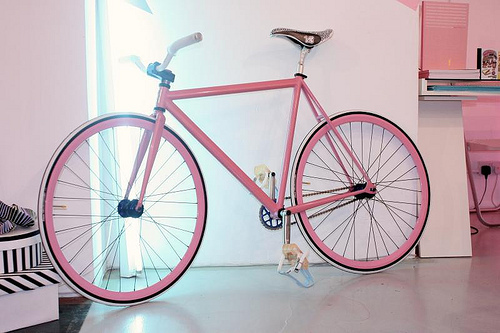 Kate Moross and Fixed Gear London just built a bike for pop-up shop, 143 Presents, a store art directed by Kate. The bike is up for grabs in a raffle with all the proceeds going to the charity Barnados. Get down there and grab a ticket now as the shop is only open till May 28th. Thanks a lot to give me the valuable information about this. Cool Bike! awesome blog! Cool to see! Up Next. This is baddass!